Playing tennis, taking pictures, making friends, hiking, having fun and a lot of surprises. Either hostel-stay or Rotarian families – this will be decided in a few weeks. Camp fee: 200 € via bank transfer, to be paid after application accepted, prior arrival. Some pocket money will be necessary for suvenirs and extra activities. Trips, sport activities, cooking contest, t-shirt painting, BBQ, swimming and sunbath. Detailed program will be sent shortly to the accepted participants. Participants must be insured against illness, accidents and third party damages according to R.I. recommandation. Arrival point: Bucharest - Henry Coanda International Airport. Each student will be picked up from/to airport by a Rotarian. Closing date: May 15th, 2018. 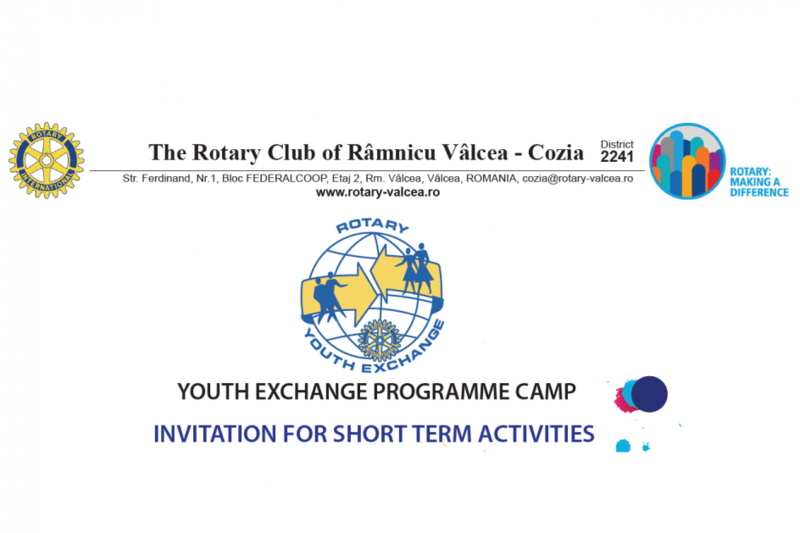 Please use your district`s form or RI application form for „Short-term Program“. Total 10 participants in our camp. Participants should be in good physical condition. A list of required outdoor equipment will be provided.